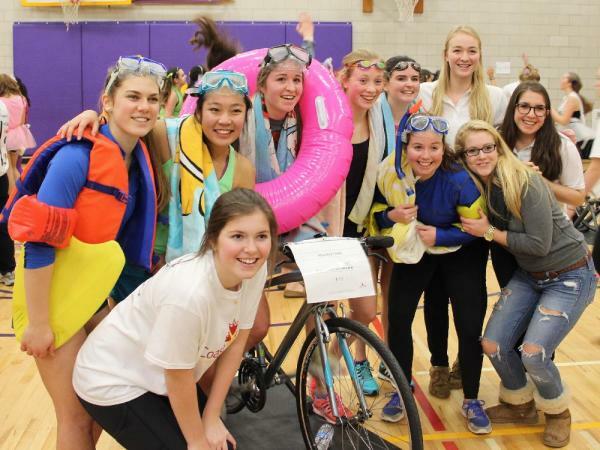 “A party with a purpose"
The Inside Ride is Canada’s indoor cycling challenge that raises funds in support of children and their families living with and beyond childhood cancer. We bring the bikes, the music, the DJ and the awards. You bring the teams of riders, the volunteers, your energy and fundraising. Together we raise the roof! 100% of receipted donations go to support children’s cancer charities. Twenty-eight different kids cancer initiatives are directly supported across Canada including: camps, scholarships, work placement and educational support for survivors and kids in treatment, financial support for families with a child in treatment, parent-patient advocates, parent support groups and resources. Ground breaking research, pediatric oncology fellowships, critical clinical trials and satellite clinics for children living at distance from care centres round out the list of support. 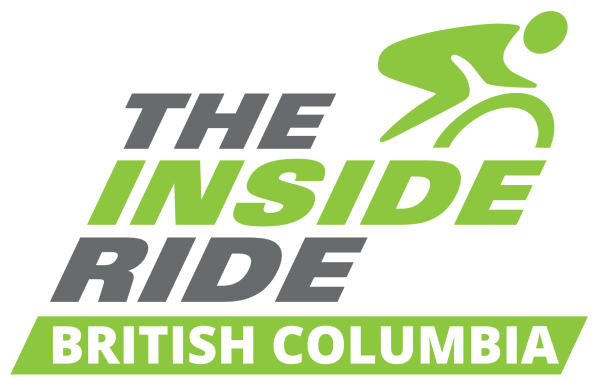 The Inside Ride is produced by Coast to Coast Against Cancer Foundation and is Canada’s first indoor cycling challenge and fundraising event dedicated to raising money in support of children with cancer and their families. Team Finn Foundation supports PROFYLE at the Terry Fox Research Institute - this project brings together the expertise of over 50 of Canada’s top researchers to profile individual molecular and genetic make-up of tumours of young patients in Canada in order to identify current and new treatments targeted at young Canadian cancer patients with hard to treat cancers. The Kiwanis Children’s Cancer Program – training for an oncology fellow at the B.C. Children’s Hospital. The Childhood Cancer Parents Association Family Support Society – mission is to help families who have children with cancer and who are struggling financially by providing them with aid through the Family Financial Aid Program. BC Children's Hospital's Cancer and Blood Disorders department provides comprehensive care for children under 17 years of age who have cancer or complex blood disorders. Through philanthropy, collaboration and advocacy BC Children's Hospital Foundation strives to improve the health and the lives of the young people who are cared for by BC Children's Hospital every day. Island Kids Cancer Association – The Island Kids Cancer Associations CARE 4 Kids program strives to strengthen family connections and let kids be kids. By providing personal connection, individual support and linkages to community programs we aim to transform each child’s experience from anxiety and isolation to one of support and hope. Camp Goodtimes British Columbia – provides a safety-focused, medically supervised, fun and recreational experience for children and youth with cancer and their families.